As a Mechanical Engineer, I have been taught finite element analysis, thermodynamics, fluid mechanics, dynamics and plenty of other fields. Yet, one key point I got to realize sometime during my Freshman year was that in modern world, good knowledge of Mechanical Engineering disciplines has to be paired with proficiency in multiple types of software, some of which require strong programming background. That is why I decided to pursue a minor in Computer Science. Software that Mechanical Engineers make use of most frequently are MATLAB, Excel, Simulink, LabView, SolidWorks, Autodesk, NX, Maple, Mathematica and numerous others. Not all of these require programming, but all of them are of great importance. Programs like MATLAB are extremely powerful tools, that can solve any problem if the user is adept enough with them. MATLAB can solve problems that would take a person hours or maybe even days in mere seconds. That is why the merge of Computer Science and Mechanical Engineering is a very attractive idea and in the long term, extremely useful. 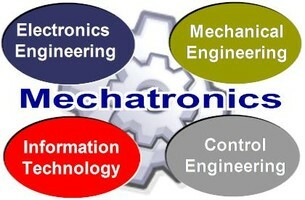 Secondly, there are certain fields like Mechatronics, Robotics, etc. that employ even more programming than other branches of engineering do. For these fields, in my opinion, just Mechanical Engineering knowledge does not suffice. There has to be a lot more, and to be fair I think that Computer Science/Engineering is one of the best to pair with it. Being able to apply one’s knowledge in Mechanical Engineering, to make a robot that could perform extremely complicated and subtle moves. Is not that appealing to every engineer? Well, maybe not but it is most certainly very intriguing to me. Baseline is programming is too important for us, engineers, not to make full use of it. And then again, besides the point, the more you know the more places you will go. I am not convinced….. doing minor in CS will not solve.the problem … learning softwraes or working on skills sets is more important…..